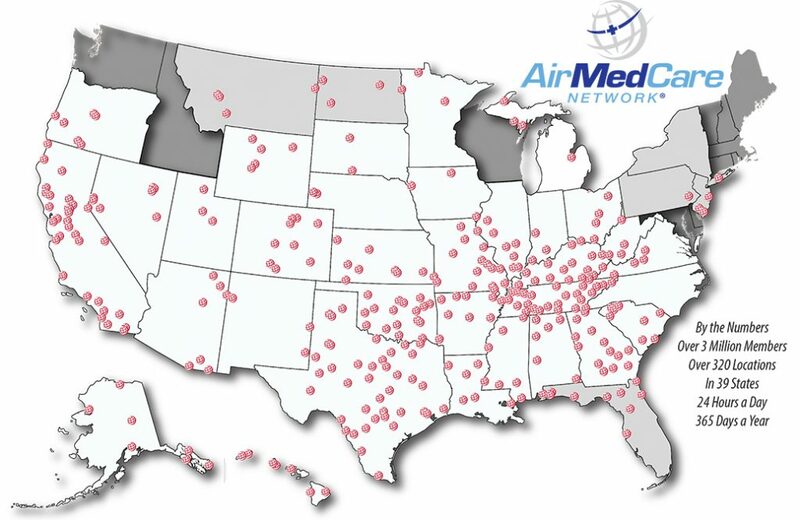 We are proud providers in the AirMedCare Network, America’s largest air medical membership program. The AirMedCare Network is an alliance among REACH Medical Holdings (REACH Air Medical Services, Cal-Ore Life Flight, CALSTAR Air Medical Services, Sierra Lifeflight, Woman’s AirCare and CareConnect), Med-Trans Corporation, Air Evac Lifeteam, and EagleMed. Become a member of our growing community—the largest membership program of its kind in the United States. Membership costs just $85 a year for an entire household–or $65 a year for a senior household–and covers out-of-pocket expenses for a medically-necessary flight by any AirMedCare Network provider. We work on our member’s behalf to secure payment for the flight from their insurance provider. Whatever benefits the insurance benefits pays will be considered payment in full. This allows patients and their families to focus on what is most important–recovery. If you have a question about Membership, you may use the form below to contact us. We try to reply within one business day.